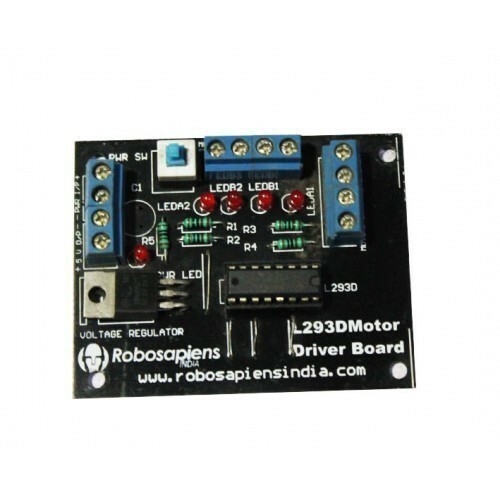 The L293 is an integrated circuit motor driver that can be used for simultaneous, bi-directional control of two small motors. The L293 is limited to 600 mA, but in reality can only handle much small currents unless you have done some serious heat sinking to keep the case temperature down. Unsure about whether the L293 will work with your motor? 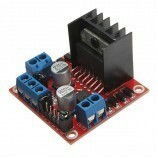 Hook up the circuit and run your motor while keeping your finger on the chip. On-board L293D IC base with IC. 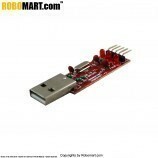 Also Searched as: wired remote control, Robomart wired remote, wireless remote, Wired Remote control car..